Often we’re approached by customer who are looking for something that ticks a lot of boxes. They’re expecting good performance naturally but they also want something that looks superb and is discreet enough to fit into their lounge. That often means that they don’t want a lot of boxes to hide. We know some of you love the boxes but a lot of people prefer to keep electronics to a minimum, especially in a contemporary environment where minimalism is kind of the point. You’ll see from some of the images that conventional speakers might be obtrusive to some people. With this in mind we’ve spent a lot of time finding solutions that meet these requirements. First and foremost we know that people come to a specialist hi-fi shop because they want good sound and so performance always underscores what we choose. But today it is possible to have both performance and style, as our examples will show. Take a look at some of these listening solutions that offer good sound, simple operation and are discreet enough to blend into anything from a country house to a city centre loft. The first solution is to hide everything. 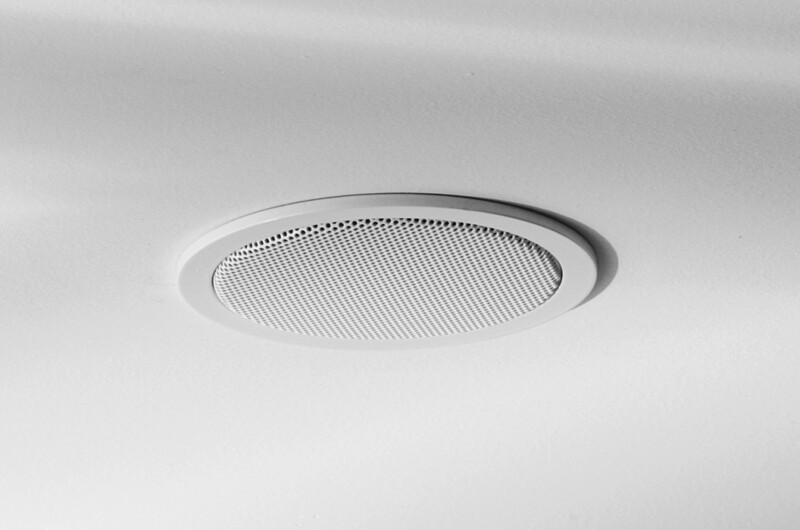 In-ceiling and in-wall speakers are almost invisible and yet can offer extremely good performance. They often used high frequency units which tilt, to enable them to go in less than ideal positions and yet still focus the detail and clarity to the area where you spend your time. These are mostly reasonably small units and are soft white or can be painted to blend into the room. They sit flush and “disappear” and yet can product a very high calibre of sound. The electronics that makes these speakers work is app. driven and doesn’t actually need to be on display (although it is not much larger than a thick paperback book and is available in black and white. The Powernode 2i is made by Bluesound and features a high quality streamer and a good quality amplifier. It offers internet radio, streaming services such as Tidal, Qobuz and Spotify and also the ability to connect wirelessly to your music library. Finally you can connect the audio from a TV also if you wish. It is small enough to sit on display but doesn’t need to be seen at all as you can completely control it from your phone or tablet. A system like the one above costs from £1100. Pay a little more and you can improve the speakers by as much as you’d like. A system like the above is pretty much invisible. Cables cab be run discreetly and you’ll have the benefit of great sound that has zero impact on the look of your room. If you wish you can add more rooms. Wiring is simple (particularly if you’re decorating or have a remodelling) and can be done by our installation experts at a surprisingly sensible cost. See more about this system. For those wanting even better performance then look no further than the Naim Audio Uniti range. These powerful, all in one systems offer the same feature set as the Bluesound but with a much higher standard of performance. Most people are familiar with Naim; a company renowned for performance but some have been put off by the modular nature of their classic series and the number of boxes required. Unit is completely different. 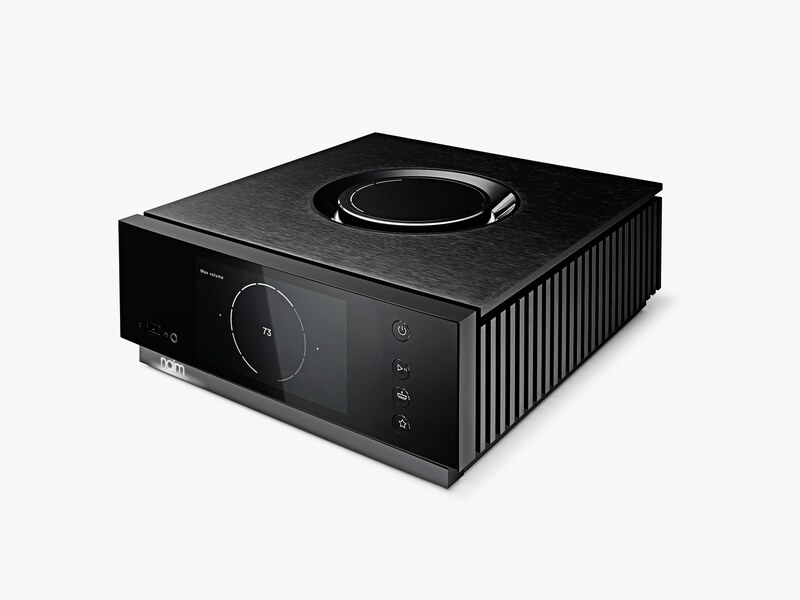 The Naim Atom is the most affordable unit in the Unit range and costs £1995. For that you get an all-in-one streamer/DAC/Amplifier that offers beautiful sound quality. This shoebox sized units packs a real punch and is also rather magnificent to behold. Because it is controlled by an app on your phone or tablet it can be hidden if you don’t wise to gaze upon electronics of any kind. The Atom can also be matched with in-ceiling or in-wall speakers but equally it can be partnered with a choice of more conventional compact bookshelf speakers or elegant floor-standing speakers. 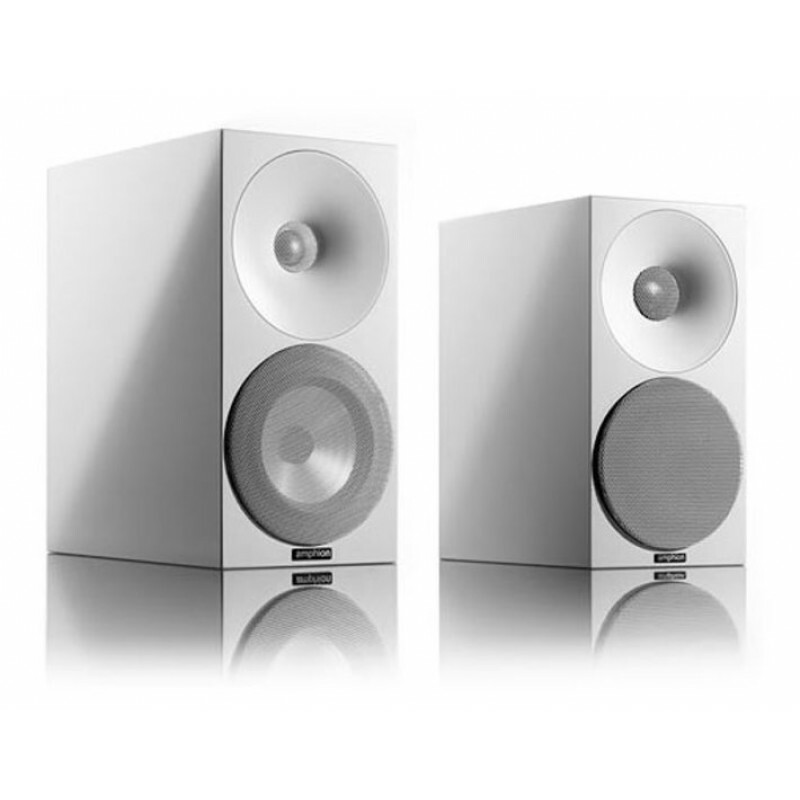 Amphion (for example) make superb compact speakers that suit the Atom beautifully. As do Bowers & Wilkins. If you like what you are reading but would really like to consider truly magical musical performance than consider Devialet. This French company have been doing wonderful things in recent years. Again a single box offers amplification and streaming and to an extraordinary standard. Match this with loudspeakers to suit your room and you can truly listen to a state of the art system without the pile of boxes normally involved. This unit is machined from a single billet of aluminium and looks at home in the most magnificent surroundings. 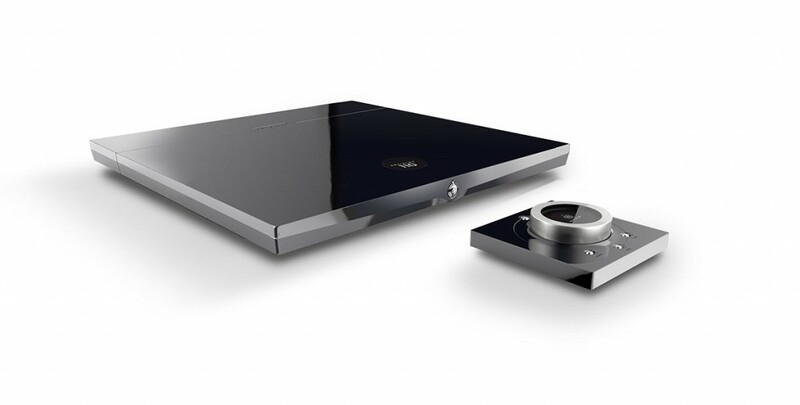 Devialet units have technology called SAM which basically means that when they are told what speakers you own, they can tailor their output to suit the specifics of them and match them like a hand in a glove. This offers a level of control and detail that is quite special. It really is worth hearing. Talk to us if you’d like more information or would like to listen to any of the options listed here.